KK ULTRA double jointed bits feature a middle link that is shortened and angled forward by 45 degrees. 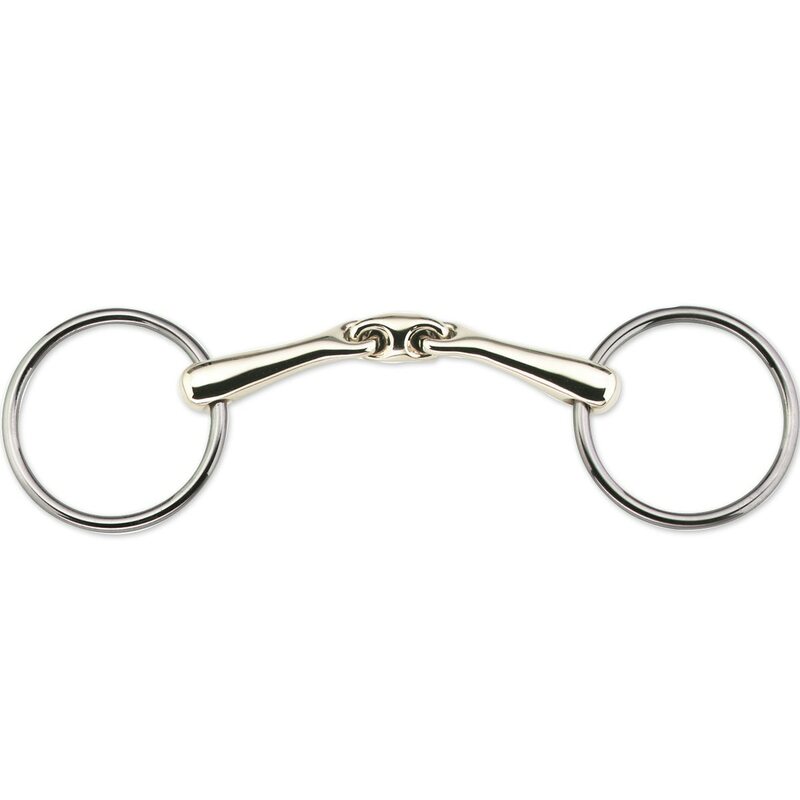 Only with this angle does the middle link lie gently on the tongue resulting in even and constant contact to allow clear instructions through the reins. The innovative KK ULTRA bits take advantage of the exceptional sensitivity of the horse’s tongue which multiplies the perceptions from signals given by the bit. When the reins are pulled the middle part o the KK ULTRA fully rests on the tongue without squeezing and the connection rings roll on the tongue. The tongue’s sense of touch is utilized and clear instructions can be given. The KK ULTRA bits provide an incomparable precise contact between rider and horse. A huge improvement can normally be seen immediately when switching from a conventional bit to a KK ULTRA bit.